I was recently able to visit the all new JW Marriott Resort - The Rosseau and was amazed at the detailed craftsmanship throughout. Everything from the seamless wallpaper to the leaves on the lights was incredible. The standard rooms were very large and comfortable. The decoration in the hotel rooms followed the central theme of Muskoka while also looking contemporary. The view from the main patio deck was incredible as it overlooked the waters of Lake Rosseau. The vast halls looked perfect for holding events of all types and sizes whether it would be a wedding or exhibit. Offering different pool areas is another bonus and with one being an indoor/outdoor pool, I cannot wait to go back in the winter to experience swimming while surrounded by snow. The exercise facility featured state of the art equipment and would be perfect for those following a workout plan. Dining at Teca is another must do as you get to enjoy the sight through the open kitchen. 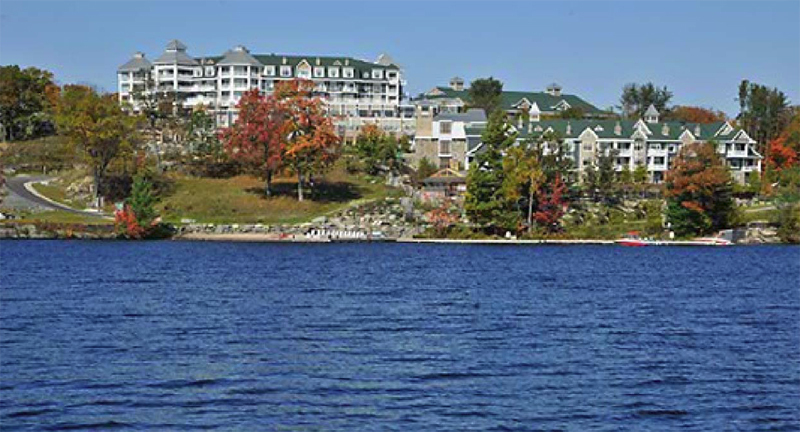 With lots to do on site and nearby The Rosseau has thought of everything in making a stay here a great experience.